A thank you letter or note is a letter that is given to the recruiter or interviewer after the interview is done. 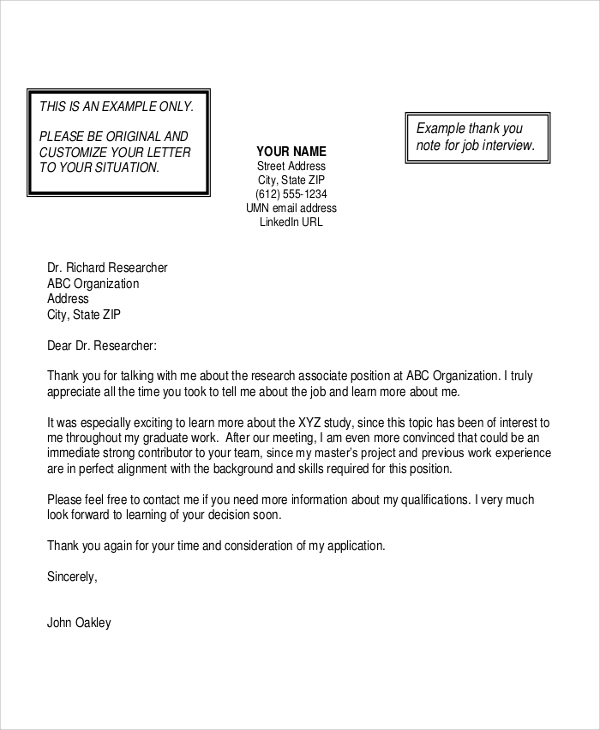 Usually, such a letter of thanks is presented to the recruiter twenty-four to forty-eight hours after the interview, thanking them for the opportunity given for the interview and allowing them to explain how they could help the recruiting firm. 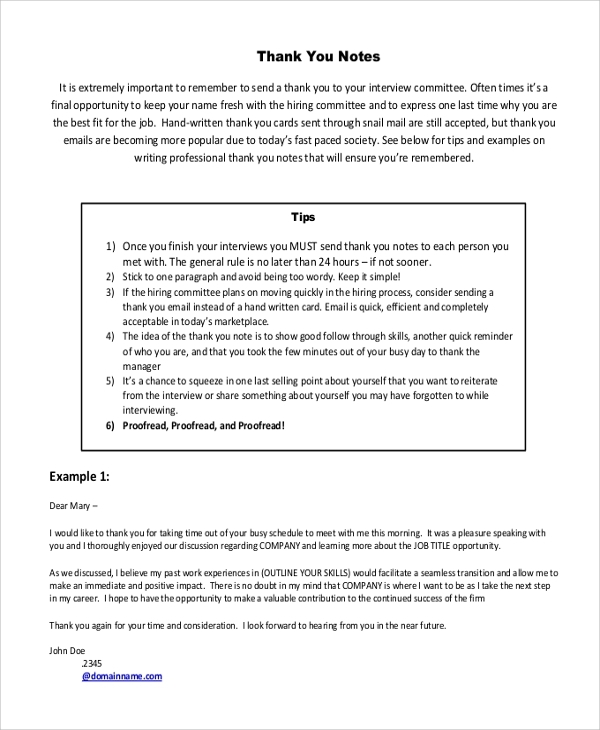 The following is a list of Sample Sample Thank You Note templates to get an idea. A thank you note is usually sent after the conclusion of the interview, thanking the interviewer for the interview and the various aspects of the application and recruitment that has been talked on. 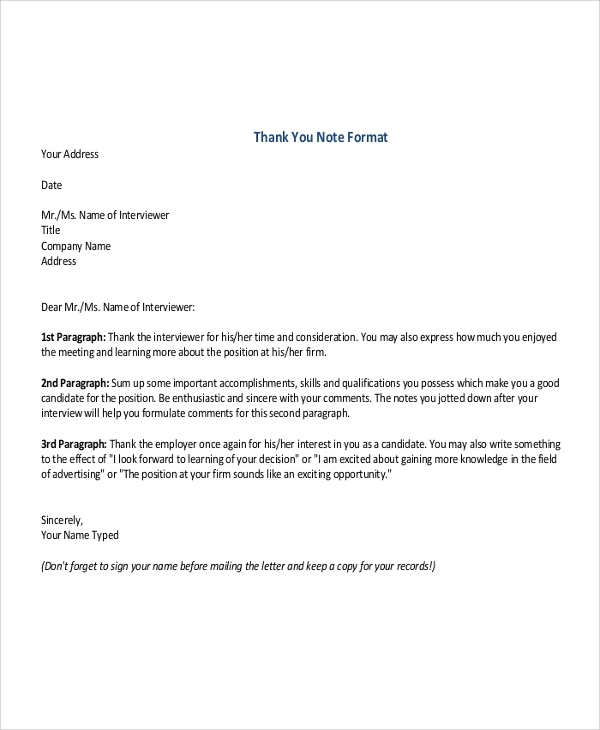 A thank you note usually consists of three parts- thanks to the interviewer for granting the interview to the applicant, mentioning with interest some of the topics that have been discussed and hope that the applicant will get to know about the status of their recruitment soon. For an email Thank You Note, the same format can be used as for a letter of thanks, since emails are nothing more than the digital version of actual letters. The email should be sent after a day or two. The use of Thank You Notes is a valuable asset for an applicant because these days a thank you note or a letter of thanks has become something of a rarity and something which very few people do nowadays. If your job application has created a favorable impression on the recruiter so much as to allow you an interview, it is necessary and useful for you to maintain that impression by sending in an appropriate letter of thanks to the interviewer. Thank you notes or letters of thanks should not be too long. They should have the elements of crispness and brevity while they are being composed, keeping in mind the recruiter’s busy schedule. 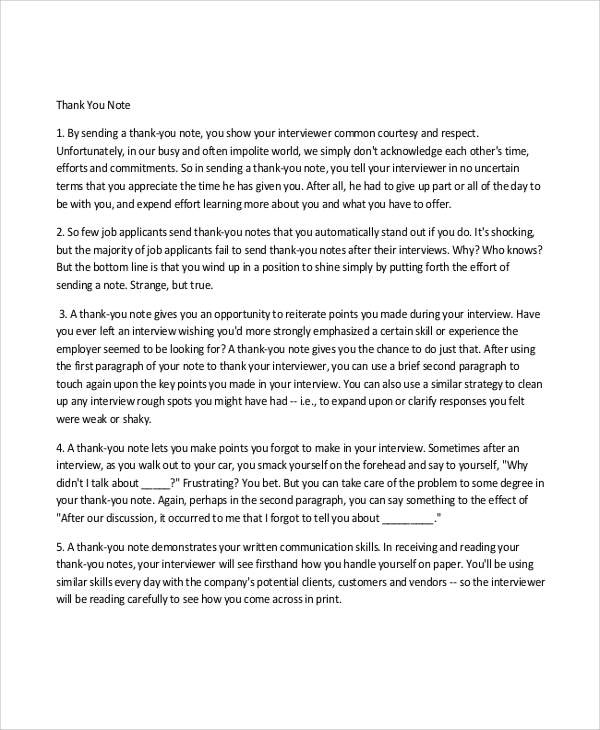 When an interview concludes for an internship, a thank you note is an appropriate way to thank the interviewer for considering your application and allowing you to elaborate on it in the interview. You may also see the Business Thank You Note. 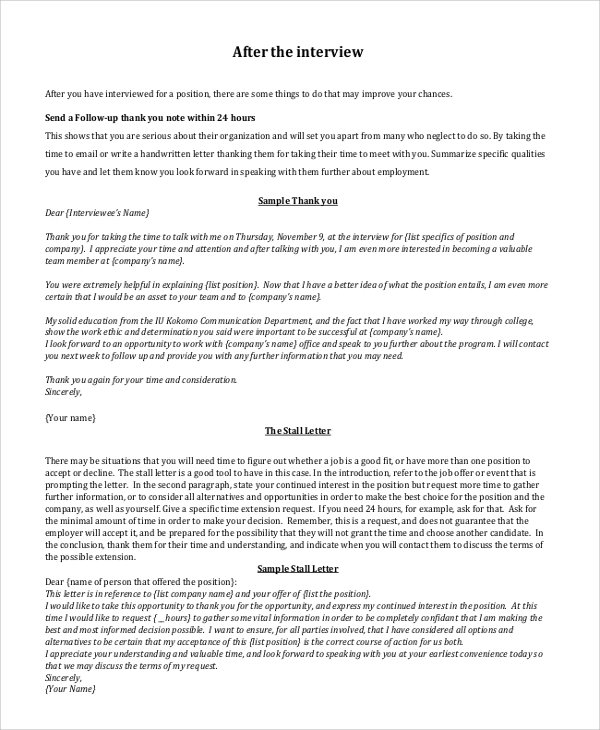 The Sample Thank You Letters or notes are aimed towards those individuals who have applied for a job and who have been summoned for an interview. 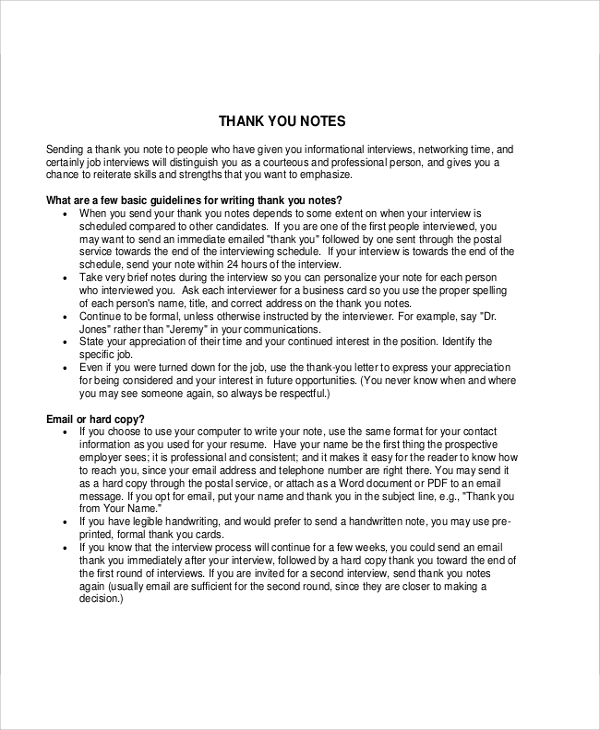 Knowing the format for a thank you note can be of immense help for your career and its prospects. 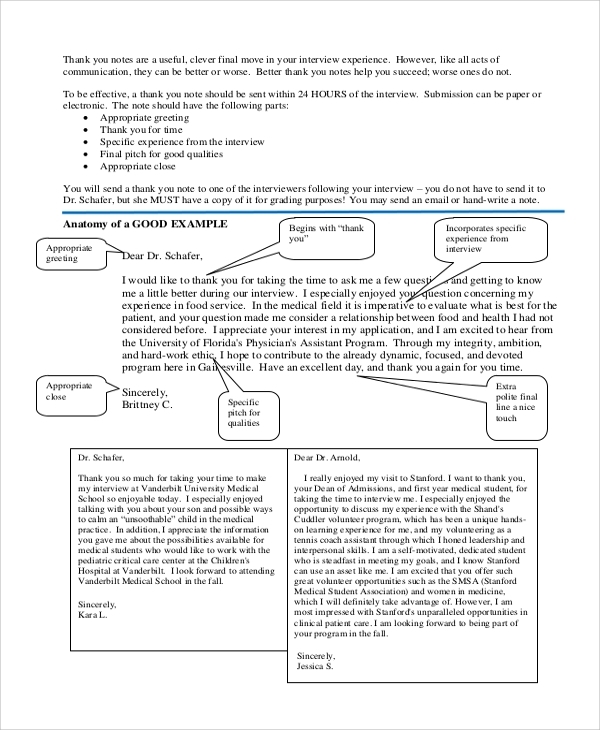 We have a large number of Professional Thank You Note templates. Choose the one that is the most appropriate for you. Our templates are editable, enabling you to use our templates as your own thank you letter after inserting in the necessary information. Or, you can use the templates as a guide for creating your own thank you note.